A reflection of seven years spent cycling in Portland. This week I have felt very heavy hearted. The curse of retrospection. I moved to Portland seven years ago this week. My decision was influenced in part by having been hit by a HVAC van while bike commuting home through a Boston suburb. 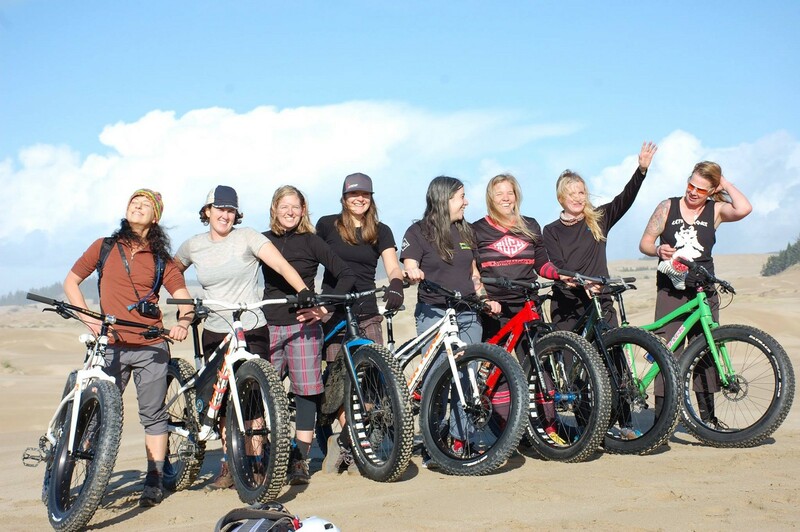 It roughed me up but did not steal away my passion for riding. 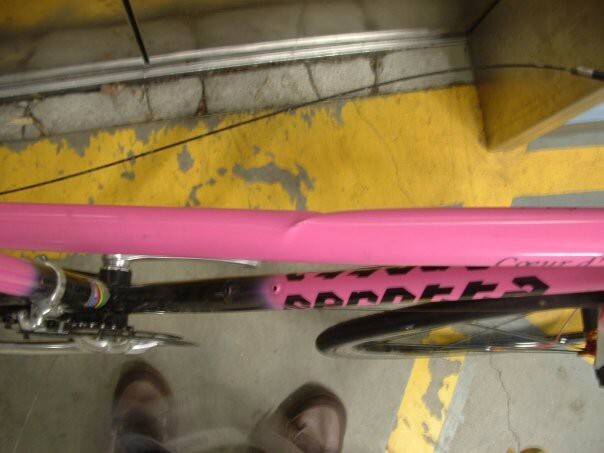 The collision was forceful enough to bend the top tube of my steel bike. Thankfully, the bike took most of the damage. I hoped to resettle and thrive in Portland, aka Bicycle City USA, with my two wheeled machines as central to my work and play as possible. 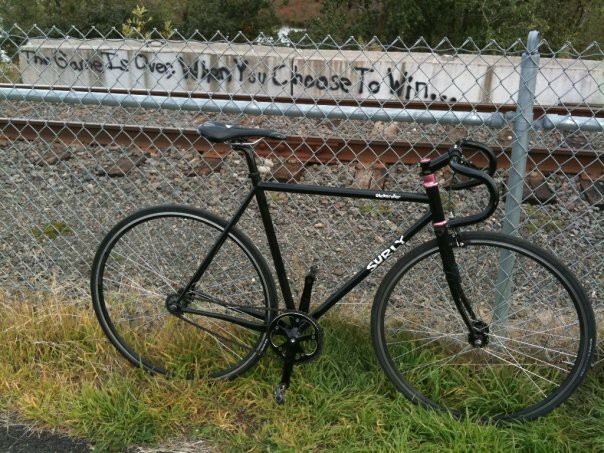 Although the transition from being a Boston-cyclist to a Portland-cyclist was not immediate — it took some time for me to find peace again sharing the roads with cars — I remember the joy and comfort and fun that I had riding through my new town with new friends. 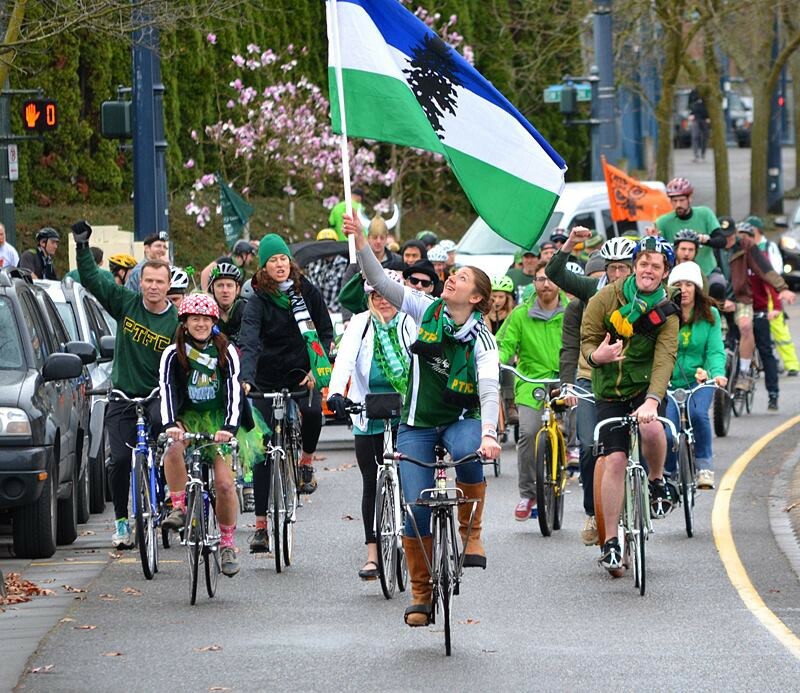 I felt welcomed as a rider in Portland and I loved it. Early explorations in Portland. My prefered style of bike has definitely changed since I moved here! I loved it so much that I was inspired to become actively involved in giving back to the city — working to find ways to improve the transportation and recreation riding experiences here. It’s been an amazing path, full of soaring successes, opportunities for personal growth, a million wonderful friendships, and thousands of miles of urban and rural riding adventures. 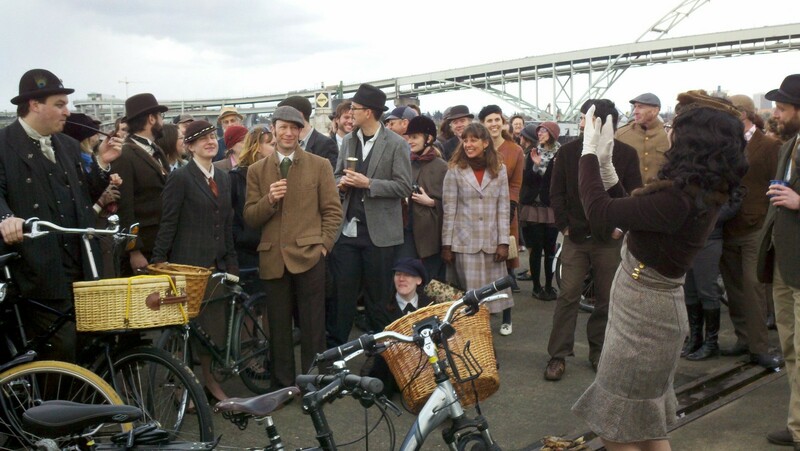 From Tweed Rides and the Komorebi Cycling Team, to working with the BTA, Alta Bicycle Share and PDW, volunteering with NWTA and Gateway Green, lending my voice the KBOO Bike Show, celebrating with Filmed By Bike and proudly sitting on the BAC and ORCMP committees — I love this town and it’s cycling community and am grateful for how generous it’s been to me when I opened my heart to it. 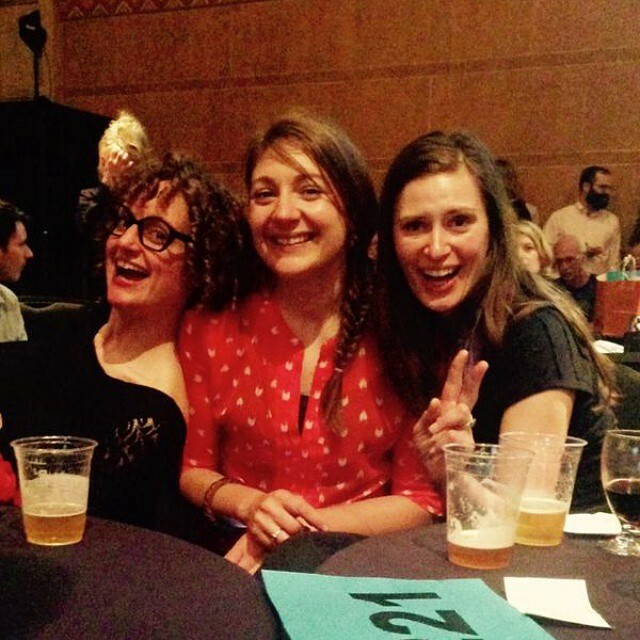 Having too much fun supporting the Bicycle Transportation Alliance with rad ladies. The birthtrip of the Komorebi Cycling Team. But lately. Lately, it’s felt like the active transportation community is experiencing much unneeded struggling and suffering. The ease I felt pedaling through Portland has been replaced with a nagging mix of fear, anger and disappointment. I often now feel like I rush through my commute and am relieved to arrive home safely albeit a bit frazzled from the experience. The unimaginable loss of a young women on our streets this week magnifies my fear. (Rest in peace, sweet Fallon, and the many other humans who needlessly die on our roadways each year). The Uber driver on Interstate who I had to yell at to prevent him from side swiping my cargo bike (he was on his phone, natch) exaggerates my anger. And the puzzling interaction with a very angry cyclist who screamed at me for riding “totally out of control” (I was on the cargo bike, wearing a dress and heels and was 110% in control) makes me feel so disappointed (I thought we were on the same team!). Unfortunately, my favorite therapeutic self-treatment, singletrack mountain biking, is all but unavailable unless I want to drive to a trailhead (I really, really don’t like driving much at all — and it’s a particularly sad irony to have to drive to ride). I’m not here to point (or flip) any fingers. Placing blame doesn’t solve problems or build bridges or do anything good, really. These are just my observations and they may very well different from your own. What will I think about riding in Portland after another 7 years have passed — in 2023? I know and am so thankful to the many brilliant people working in city agencies, nonprofit and grassroot organizations, and active individuals that are committed to finding solutions to the demanding urban issues we’re facing. I’ll continue to support their efforts as I can. As a realistic optimist, I have no doubt that there will still be many challenges. But I hope (hope, hope, hope) to still love to call this city home. I hope that fewer lives will be lost to traffic violence. I hope that we’ll be closing in on meeting our climate action plan goals. I hope more people will have more safe options for transportation, regardless of where they live in our region. I hope that the community, as a whole, is happier and healthier. I hope that I can shred 20+ miles of singletrack, riding from my front door. I hope that I will still feel hope and joy and passion when I ride my bike and I hope that I will still feel inspired to share that.